Made using genuine leather, Brandless products stand the test of time and style. See what makes it awesome. Conceptualised by Aanchal Mittal (NIFT, Delhi), the brand aims at making a statement with accessories of all kinds for both men and women. Each product is handcrafted with a lot of care and attention given to detailing, where the end result is a luxurious amalgamation of what defines contemporary design in our times. A blend of old school charisma, the shapes, genuine leather, and even the colour palette add that refreshing edge to an otherwise monochromatic experience. You can shop for overnighters, backpacks, laptop bags, sleeves, travel accessories, stationery, clutches and wallets and more, made of genuine leather. While the prices start at INR 450 for leather cord tacos, it is on the higher side, but then, that's what you'd pay for a product that lasts a long while, isn't it? We love their gadget wrap (INR 1,850), pocket daybook (INR 500) and their bags and laptop sleeves. 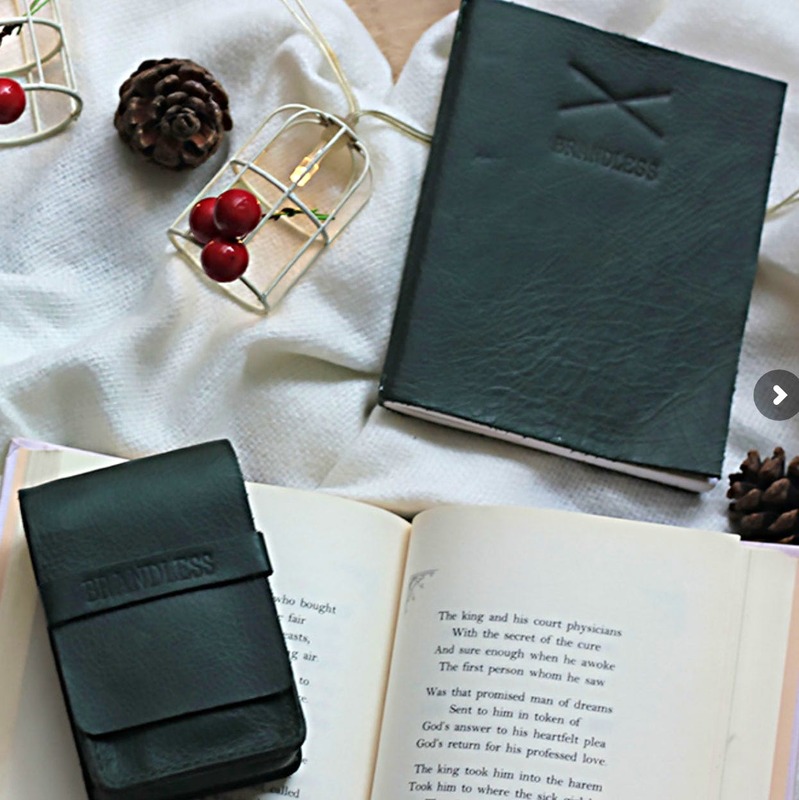 They have a lovely collection called#BrandlessWrites that is just for their stationery, from notebooks to pen holders and even leather pencil cases.